There was almost a three hour wait in front of us when we arrived to the Cairo airport. Our plane to Istanbul was scheduled for 2:30 AM. When we finally landed in Turkey it was around 5 o'clock in the morning. Wandering around airports, waiting for airplains always seems to tire me out. This time it was no different. Regardless of that, we have decided to take a day-trip to the center of Istanbul. Our other option was to wait at the airport for our flight to Ljubljana - more then six hours later. Our last-time experience with prices on this same airport was not very pleasant (you can read more about that in this post). So with no real alternatives available we changed some of our money into Turkish Lira and caught a train to the city center. The transport took quite a while. Once we got to the city center it was only time for a few things. First we went to see the Blue Mosque (a.k.a. Sultan Ahmed Mosque). 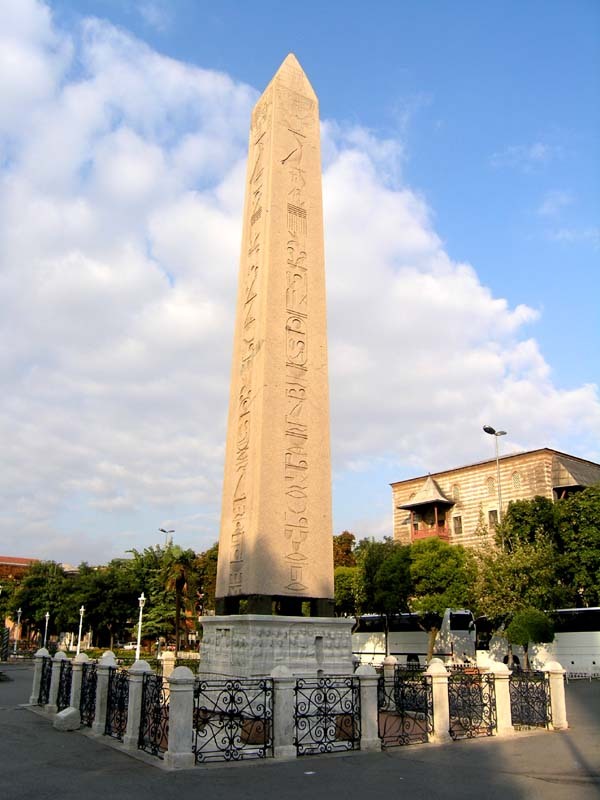 On our way to the mosque we went by Sultanahmet Square where stands one of the many obelisks that were taken from Egypt. If you ask me those things should be left in Egypt in the first place. I have been ranting about that before (you can read it in this post). 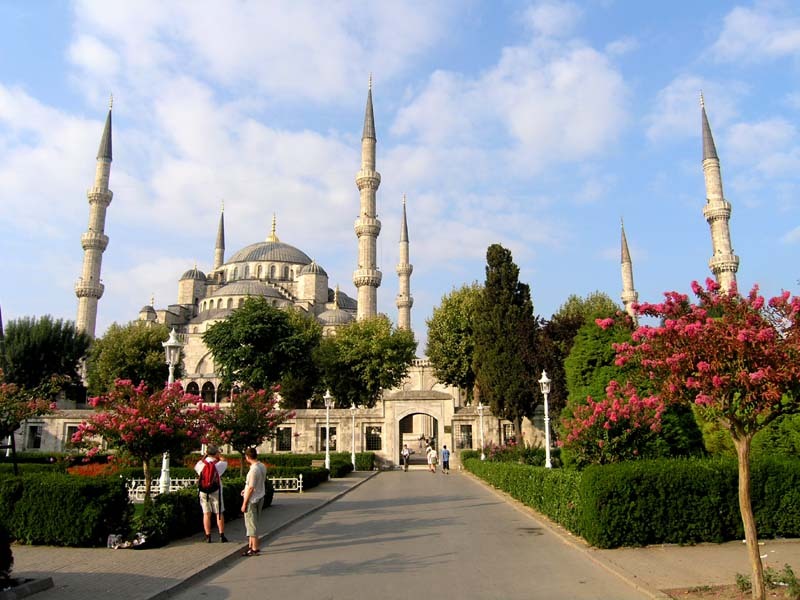 The Blue Mosque is one of two Turkish mosques with six minarets. When the number of minarets was revealed, the Sultan was criticized for presumption, since this was, at the time, the same number as at the mosque of the Ka'aba in Mecca. He overcame this problem by paying for a seventh minaret at the Mecca mosque. We were quite impressed with its size and simple beauty. By the time we were done with the mosque we were getting quite hungry. It was a perfect time to try a local stew called Chorba (or Çorba). It is a kind of lentil soup. The first course of many meals in Turkey starts with some kind of soup and this is the most common one. Lentil soup is very healthy and is not prepared with heavy saturated fats. Because of its health benefits many Turkish babies/children grow up eating lentil soups. So we had a delicious bowl of Çorba with hot crusty bread fresh out of the oven. Drizzly some lemon over and you have yourself a hardy meal for only a couple of Euros! With our tummies full we went for a short stroll around the city center. 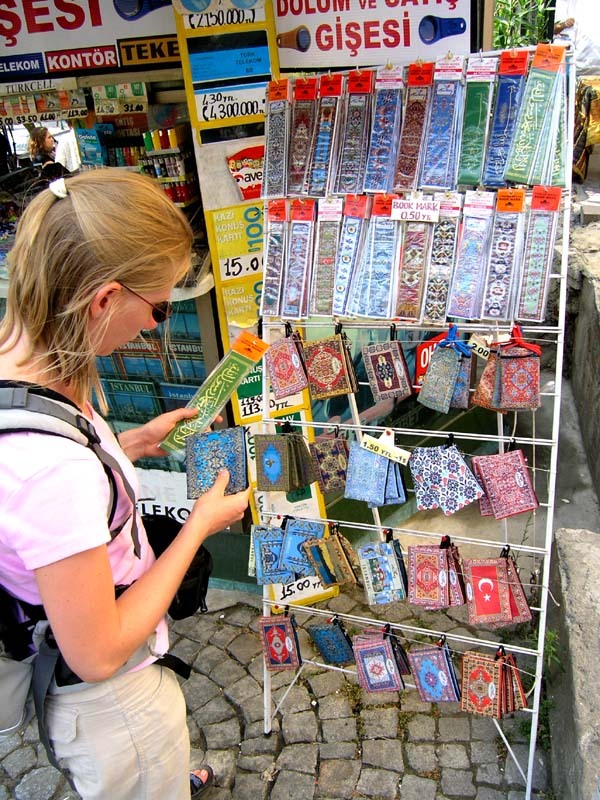 Before we caught a train back to the airport we couldn't resist buying some Turkish souvenirs. Our flight home went by as planned and around 5 PM we landed in Slovenia. The Egyptian adventure was over and has left us pretty much exhausted. On one hand it felt nice to be back home again, but on the other hand it was soon gonna be all work and boring routine again - I was missing Egypt already. After getting to our flat we had a thorough shower and went strait to bed. M. and I both slept like dead for the next 15 hours. Oh, the end of Egypt! I really enjoy reading it and sure that you must have enjoy the trip as well. It was definitely well worth it! We are going back this December. Can hardly wait!